The HERTALAN® product range is unique. 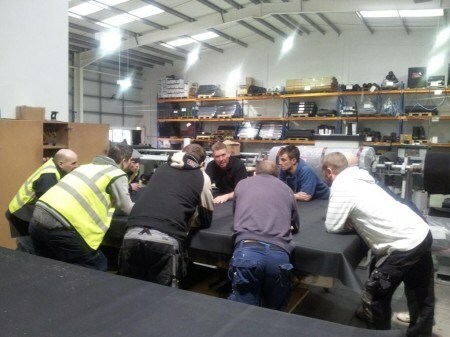 So unique, that we have even have our own training centre in the UK where we provide courses and lectures on EPDM and the many benefits of the material and how to work with it. The best results, start with good communication. Throughout the year HERTALAN® organises regular instruction courses for installers and roofers. You are cordially invited to attend the HERTALAN® training course days. You will be welcomed in our own training centre where the morning presentation will include information on the background and processing of Hertalan EPDM. We will give you a tour of our production and stock holding facility at our factory and after lunch you will have the opportunity to experience how easy working with HERTALAN® EPDM is in practice. For registration, please complete and return the form below to us, we will then contact you to enrol you onto the next available training course.